I had tons of requests for more info on my advent calendar that I made for the guest design spot over at Christmas with the Cricut. I decided the best was to do this was to make a video of supplies and a few tips. Make sure you watch to the end for a little giveaway. To be entered to win just leave a comment on this post. whoo whooo what a great giveaway, love how you explained the video so well, would be great to win this, thanks for the opportunity, keeping my fingers crossed. What an awesome giveaway!!! Thanks for the video showing how you put it all together!!! Great giveaway Christina! I would love to make one of these for my grandson! I made the Karen Foster Advent Calendar Box last year. I could reuse it, but why? LOL! Have a great day! What a great project - very inspirational. Wow what an amazing giveaway! I love watching your videos. You are a great teacher! Keep up the great work!! Thanks for the chance at winning the advent book kit.....I watch all of your videos and thanks for all of the hard work. I just love your closure for this book......very very cool! Another great video that helps me to want to keep paper crafting. Hope I win your give-away!!! What an awesome giveaway!!! Thanks ! What a great project Christina! Keep the projects coming because you are so talented and creative! WOW...what an awesome project. Thanks for the opportunity to win!!! I enjoy all of your wonderful videos, you explain things so well. Thanks again. Looks like a fun project Christina. You've made it so easy! What a cute idea! Love it. Even if I don't win I think I am going to give it a try on my own. WOW Christina!!! Thank you for the instructions and for the chance to win!!! Thanks again for a very informative video. What a fabulous givaway. i love your advent calander. Thanks for another great video! Wow!!! What a terrific give-a-way. I got so excited with all the items that just kept coming for the Advent kit. I hope you pick me. WOOHOO! I loved your design, so nice to see HOW to make it! What a generous giveaway! You rock! Video was great as always. And, what a fabulous give away. Thanks for giving us the chance to win! WOW - you're so awesome Christina. I just fell in love with this project when you showcased it on CWTC. Thanks for taking the time to show us exactly what you did. Woooo Hooo ~ please enter me. Wow how fun is that! I love you calendar! All the fun and none of the calories! What a great giveaway!! Thank you for the hard work you put into your videos they are great! Great project! Love your videos and ideas. Thanks so much. So nice of you to do a giveaway, and explain how to create this one!!! Thanks for the great video, the teacher in you sure comes out. WOuld love to win! thanks for the tutorial and great kit. this is so nice of u to put together a kit. when i saw your first video i fell in love and wanted to make one but im away from home at school right now and couldent bring all my scrapbook stuff. so i have none of my christmas stuff and by the time im done and go home it will be the 20th so i wouldent get to make it in time, also dont haave a top note die cutter thing. so this would be purfect for me. Counting down till chirstmas is one of my favorite memories as a kid. This would be a great way to share it with my kids. Thanks so much. Thanks for a great video. I loved it the first time but it is awesome now with the explanation and tips. I would absolutly love that kit so I can make my own, thanks for a chance to win. Thanks for this tutorial !!! Love your blog ! What an awesome giveaway! Thanks for all your wonderful tutorials! Oh Christina - you've done it again!! I would love to win the kit and then I'll have to make a second one for my other DGS - but it's SOOO cute - the boys would love it! Ohhh this is just too fun! Thanks for the chance to win! Another great video!! Great giveaway! Love the calendar. thanks for the chance to win this kit. Christina, I really love your advent calendar. Thanks for sharing the detailed instructions. I really hope I find your kit in my mailbox. Missed you since you hadn't posted since your shared your blue cricut with us. Keep your videos coming. What a great idea! Thank you for this opportunity, this is so cute! Beautiful project. Thank you for the video and especially for the giveaway...the kit giveaway would be AWESOME to win. Great video, I love the tip about using poster board. I normally avoid doing chipboard albums b/c I can never match up the shapes exact. And thank you for the giveaway! Love your videos. You are extremely talented. So cute. I started making one of these, but my dog got a hold of it for a snack. Very sweet of you to give away one of these awesome advent calendar kits. I'm totally going to make one even if I don't win. Never seen a advent calendar like that one. This would be great for the older kids. Thanks for showing how too make one and the opportunity to win one. I Love your advent calendar. I'd like to be entered for a chance to win. Thank you Christina, very generous of you. :) Merry Christmas!! WOW. Wow. I would love to win and make an Advent calendar. Thanks so very much for sharing. What a wonderful giveaway. Thank you for the chance to win. This is a great prize...the video is wonderful for us newbies and I truly appreciate the time that you put into it. Have a wonderful day! What a great prize. I just love this advent calendar. Cute little advent calendar. My grandchildren would love to have something like that to count down the days. Great job! I forgot to leave an email address. m.k.schmidt@hotmail.com. Thanks again for the video & project. Thanks for all of the information. Thanks for the give away. What a great give away! Thank You, Thank You, Thank You!!! Christina, this is just adorable! I would love to win this! I just found your site! You are so creative. I would love to win this! This is so very nice of you. I have never done one and I really want to start one. I am going to give it to my daughter to put on her desk. Thanks so much for sharing with us. I would love to win the Advent Calendar, I have alot of time on my hands and looking for things to keep busy. Wow, awesome project! Thanks for sharing your talent! Great tutorial!! I love the top note cut, but I don't have that die yet. Thanks for sharing your project with us as well as for the chance to win this awesome giveaway!! I love your Advent Calendar! I wanted to make one this year and this is perfect!! I so love the calendar what a great gift to give to someone. Thanks so much for giving us the chance to get this kit. Lots of luck to everyone. Wow Christina another great project and video!!!! Love your videos, very inspirational and easy to follow. Thanks so much for the great give a way and the chance to win. Would love to make this project. Love it! I would love to win it! VEry nice job! Thanks for the chance to win this great project! Wow this is a great give away, hope I win. I love the way you explain everything so anyone can accomplish the progject. Thanks again for a great video! Love the advent calendar. Thanks for the chance to win this kit. Another awesome video Christine! I loved your advent calendar the first time I saw it and now you are giving away a kit to make one!!! That is so generous of you and I so hope I win it! If not I'm still going to try it on my own with your directions. I think they make wonderful little gifts. Thanks so much for this chance!! What an awesome give-away!!! I would love to win that!! You make the book look easy to make, and I know that it isn't ..love the videos...keep them coming! SO cute!!! You gave such good directions that even if I don't win the prize, I can still create one of my own. Thanks....and I'm feelin' LUCKY!! Wow Christina, This is a really nice giveaway. I love this advent calender. It would be so fun to have everything cut for you and have it all together. Wow, Christina!!! I've loved this calendar from the first time I saw it! What a generous give-away!!! Thanks so much for sharing this awesome project!!! Love all your videos! I learn so much! Thanks for all you do! Wonderful tips Christina. I love that My Minds Eye stack and have used it. Great calendar-Easy to follow instructions! Thanks for the chance to win! I love your advent calender! What a great project! I'd be thrilled if I won the kit. WOW Christina, what an awesome giveaway. I love your advent calendars. They are so pretty. Thanks for the chance to win a kit!! Have a great day. Wonderful videos. Thanks for the chance to win a great prize. Love this project! Thanks for the video and the giveaway! I really enjoyed all your projects last week! I enjoy your blog! TFS! WOW Christina I love this little book it is so great!! Love,love this calendar!! Thanks for the chance to win. Thanks for all the great videos you do. I would love to win this and I know my kids would love to be counting the days until Christmas. Great video! Thanks for the chance to win, love it!! Love your giveaway prize, how clever of you. I would love to win this for my 12 year old granddaughter. Keep up those videos, they are great!!! Here's hoping I win this giveaway. This looks so fun. I wanted to make this but I don't have a big shot or a crop - a - dile so winning the kit would be awesome. Hi Christina, this would be so fun to put together for my little 3 year old friend. What a fun little project. What a great video. Love the calander. I would love to make one for my grandsons. What a beautiful calendar. And the supply/how to video is great! Love watching your videos. That advent calendar is SO cute! Love the idea and want to make one. What a great giveaway!!! What a great video! I love all of your videos. Thanks for sharing your talent with all of us. Ok Christina, If I don't win this, at least I know how to make my own. You explain so well that it's really easy to make. I really appreciate your hard work. Thank you so much!!!!!!!! That is an awsome giveaway...I love the little advent calendar!! Thanks for the great video. Gotta make this! Love the idea and thanks for the giveaway. Pick me Pick Me. I'd love to get all these supplies, if not, I definately will be making one of my own, I'm at the library now, and I'm heading to walmart to get some poster board. I think this would be a great project to give to my father in laws friend at Thanksgiving Dinner, I have to get hopping. What a great video. I will make it and I would love to win your giveaway. This is an awesome give away. I love this advent calendar. I love Advent calendars and this one is great. Seriously I do love all your videos. For a newbie like me, they are fantastic. Hi Christina. I love to watch your videos. I'm newer to the crafting world and I like to get new ideas. Thanks for all the great videos. The advert calendar is so neat and looks fun to make. Keep up the great creations. Thank you for the video and the chance to win the kit. I adore you advent calendar. OMG!!! what a great give away... Love the Advent calendar. Thanks for the video and a chance to win. Awesome video of how you did everything!!! And an AWESOME chance to win your advent calendar!! That is so sweet of you... Thank you so much! I love that adorable calendar. What a fun project and such super cute papers. What a kind thing for you to do! I love MME your calendar is GORGEOUS!! I love the advent calendar, I was thinking of doing one with my daughter, but couldn't think of any ideas! Thanx Christina! What a cute idea! Thanks for the opp!! Thanks for the wonderful Christmas idea. I love your advent calendar. What a great giveaway!! OOOH, I hope I win!! Thank you for this great video! Awesome video, Christine, as always. Not only are you giving away a GREAT prize, it all set to be put together - thanks for your talent and generosity. Great video-always fun to watch-Thanks for sharing. Hi Christina, love your videos! And really love this advent calendar. Its just adorable!! Thanks for the chance to win,Cindy at cricutlover20@yahoo. Love your videos! Thanks for the GREAT give away opportunity! I loved the advent calendar and I would love putting it together with your kit! thank you so much for sharing! You do beautiful work! Hi Christina!! I really love the advent calender ! The kit is so cute , I would love to put it together for my daughter who is away at college so she can count down the days tok come home for christmas. Thanks for your time and a great idea!! This is so awesome....how fun! Very nice of you to put this together as a give away Christina! Thank you. Just love your videos!!! This is such a great idea! Thank you for giving someone a wonderful kit! Really really cute. Thanks for giving away a kit. Love this project. I love the SU topnote die for the shaped day pages. And the MME paper is gorgeous. I like the supply list as well. I'd love to win the kit, as I wouldn't be able to get my act together to actually create it from start to finish. Love this calendar! My grandson would really love to countdown days! I'm going to have to jot down this list and make it for him! Thanks for the chance to win also! This is so nice...thanks for sharing and the fantastic giveaway!! What a neat project. Thanks for sharing and for the giveaway. Hope I win! I saw this on Christmas with the Cricut! Love your work. Love the video! Thanks for the give-away too! I so enjoyed seeing you on Christmas with the Cricut. Thanks for sharing how you did the Advent calendar and yes i would love one. Thanks for all your hard work. OMGosh! this is too nice of you!! I tried to do a book like this but stopped got frustrated with tryin to cut chipboard.. but your tip to use posterboard sounds great!! Need to try it!! wow! awesome advent calendar kit...love your ideas! You are so creative! Wow!! Thanks for the opportunity to win ths kit!! Thats sooo nice of you!! I absolutely LOVE this advent calendar!! Thanks!! What a great project and a great give away. Love your blog. I love this project Christina! Beautiful and thanks for the great giveaway! luv ur vids Christina! All of'em! I found your sight a little over a week ago and I am in LOVE. When I watch a video I am struck by your soothing voice and your calm way of teaching. I am happy to have found such an awesome sight you have become my favorite place to visit. Thanks for all the hard work and care you put into sharing your gifts with me. PS I LOVE the give away thanks! TFS how you made your gorgeous Advent calendar. Great tut! Would absolutely LOVE to win a kit that you created. How awesome would that be!!? Well, it just would be! ;-) Thanks for the give-away!! Christina I love all your videos! Please pick me! You did a really great job on this! I'm going to find time to buy the supplies and make one! This can be an item in my house every December! Thanks for all your videos! Lots of great tips. How nice of you to take the time to give such easy to understand directions, and to take the time to make up a kit!! Thanks for putting the kit together for your Advent calendar. That is a very cute project for theholidays. I appreciate all the instructions and your videos are so well done. WOW great giveaway! Thanks for the great video!! Good luck to all but I hope I win!! WoW! I love give aways even though I never win anything. 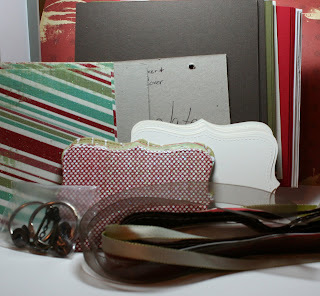 I'm all about the chipboard books right now and i'm making a bunch of them for Christmas gifts! I'd love to make this for my daughter to use to count down the days! Thanks for the chance! Thank you for the great give away, You are so generous. Hope you pick me. OH MY GOSH Pick Me I would love to win this calendar. You are AWESOME to do this. Thanks for the chance. wow - great creation and awesome give away. You are very inspiring and I can't wait to see your next project. Thanks for sharing! Thanks so much for the video of a super project! I can see my granddaughter enjoying counting the days till Christmas with something like this! Wow! So very generous of you. I would love a chance to win! Thanks for sharing your video on how to make this advent calendar I really love the project and look forward to trying one. This is a great project and would be a great idea to use as a summer project. Wonderful giveaway. I have always liked watching your videos, especially the Wild Card series. Keep them coming. what an amazing giveaway!!!! I love all your videos Thanks for all your wonderful ideas!! What a charming advent calendar! Thanks so much for the chance to win the supplies to make one for myself. I love watching your videos. Wow that is so kind of you! What an awesome give away. Thanks for the chance to win. Thanks so much for the video. It answers any questions anyone would have had. I would LOVE to win the supplies. Thank you for sharing. Thanks for the tutorial on the advent calendar. It's very helpful! What an awesome kit! I'd love to make the advent calendar since your video made it so easy to understand how to do it. Even if I don't win the kit, I may have to try this one on my own :) Thanks for sharing your talents!! Thanks for the chance to win such an awesome kit!!! Thank you so much for sharing your talent with us... Very generous of you to give away a kit for the Advent Calendar... God Bless!! Hi Christina. Thank you so much for sharing your creations with us. Thanks for the chance to win. Have a great day. Love the advent calendar! I also love your blog, you are such an inspiration, always working on someithing new. I would love to win! What a great give away. I love your calander. I would love a chance to win this kit. It is awsome and will make a great calander. Thanks for all your great creations you share with us. Love the calendar, thanks for the chance of win it!!! Christina, I loved the video! Thanks for the chance to win this awesome kit. I love this!! Thanks for sharing this with us!! I just LOVE my cropADile and my BigShot!! I NEED that Sizzix Die. I really want to make one of these for different people in my life!! Oh wauw Christina...i love this album and i want to make it for my dearest friends who will appriciate it very much...thank you for the great video...and i even dont no if you would sent it international( i live in the Netherlands) when i would be so lucky to win..but i have to try...its so awesome!! Wow, Way cute!!! Great idea, would love to win!! Have a great day!! What a great giveaway !! I love it. Thank you. I love this project. Thanks for the awesome giveaway. Thanks for the video! That really helps. I have been wanting to do some kind of advent calendar for the grandkids. Now I know what I am going to do. Oh! This is so cute and what a nice kit you are giving away. Wow, what an informative video and great kit give away. Thanks for the inspiration. Looks like fun. Love this idea, I relly like the top note shape and all the die cut images, thanks for the giveaway.